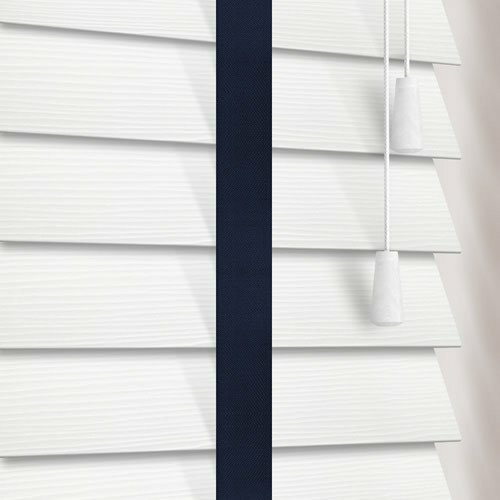 For a fresh modern look along with a pop of nautical colouring, these luxurious white faux wood blinds with their contrasting dark navy blue tapes are perfect. Featuring a natural fine grain textured finish, they have that truly authentic look and feel. As their slats are manufactured from a strong PVC, they’re robust, water resistant and super easy to wipe clean. Excellent company and product. This is the second time I've purchased made-to-measure blinds based on the quality of the product. Blinds are made to a high standard and come superbly packaged to avoid damage.